The excitement of adventurous endeavors such as white water rafting, backcountry hiking and downhill skiing is an incredible feeling, but it’s hard to compare it to the kind of thrill monstrous, man-made coasters offer. Patriot is the first floorless coaster in the park’s 41-year history. 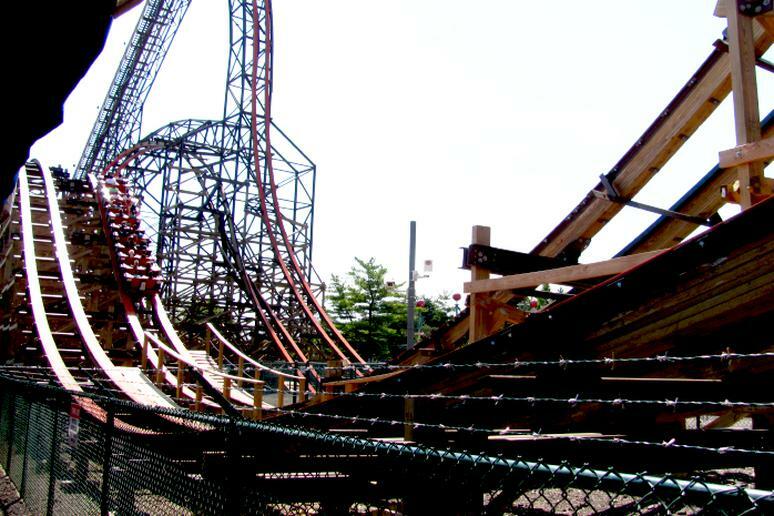 The coaster emerges from the retired Vortex, one of the oldest stand-up coasters in the country. Riders will get to be 91 feet in the air before plummeting into a 360-degree loop at 45 miles per hour. The ride has trains positioning people with their feet dangling above the blue and white track. 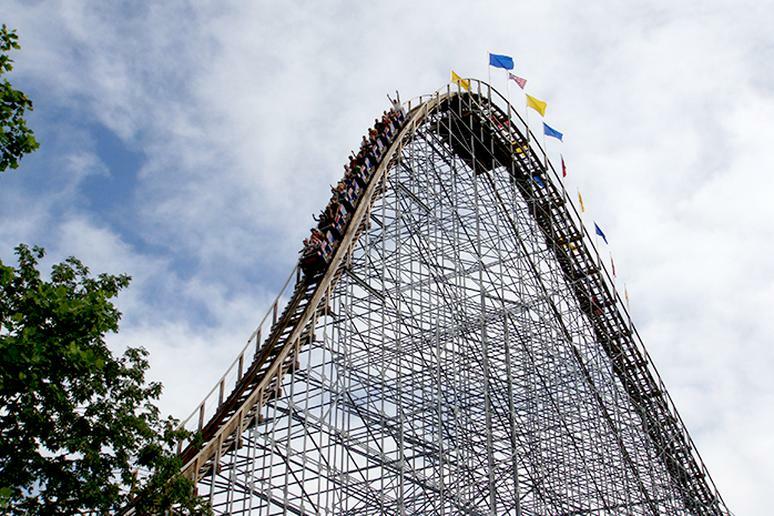 TIME magazine named The Voyage the top wooden roller coaster in the country in 2013. It is an air-time machine, with riders experiencing a feeling of weightlessness for a total of 24.3 seconds. The Voyage, which has several 90-degree banking sections, offers guests a chance to experience one of the steepest drops on any wooden roller coaster in the world. 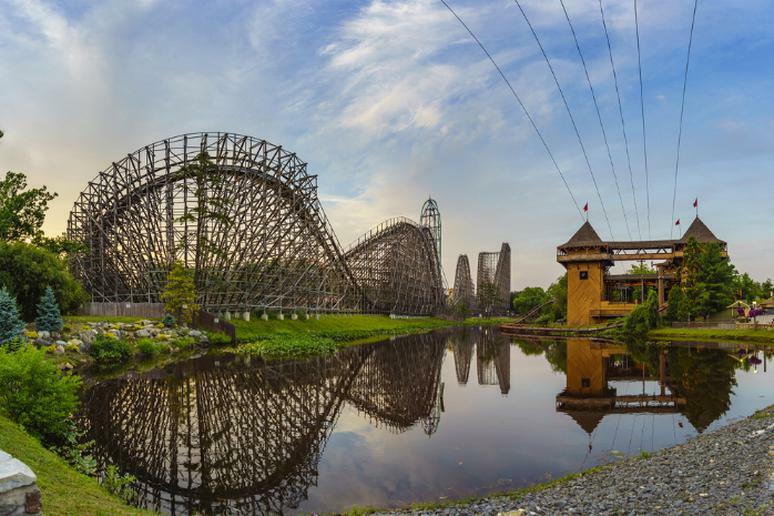 The ride is 1.2 miles long, placing it among the top two longest wooden coasters on Earth. 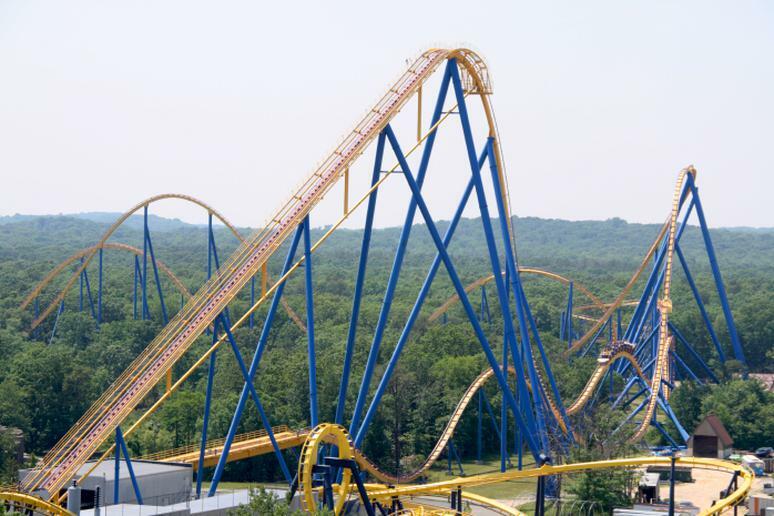 This is the world’s tallest – 325 feet – and fastest –95 mph – giga coaster. Fury 325 riders start their adventure on one of three 32-passenger, open-air trains to the peak following an 81-degree drop. Then, they race into a massive 190-foot tall barrel turn and a high-speed S-curve. 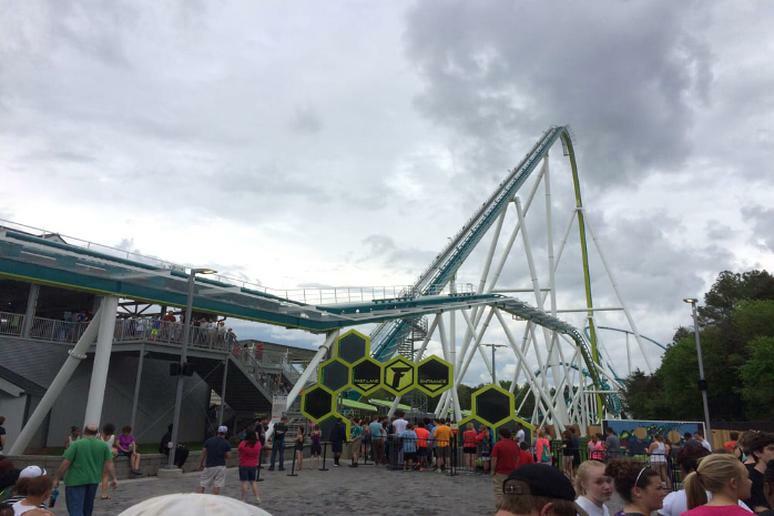 Fury 325 is also North America’s longest steel coaster, and is over 1.25 miles long. The average ride time is 3.25 minutes. Just looking at this massive roller coaster is awe-inspiring. The extremely complex architecture rising high over the park is one of the fastest and tallest wooden runs in the world. Its name, El Toro, which means “the bull,” is not random at all. You feel the power of the bull-like train. The ride begins with 19 stories up to a sudden drop of 176 feet at a 76 degree angle – the steepest drop of any wooden-style roller coaster in the country – at 70 mph. The Lighting Rod is said to be the fastest wood coaster on Earth. It launches riders from zero to 45 mph more than 20 stories. After that riders face twin summit airtime hills before tackling the bold first drop. 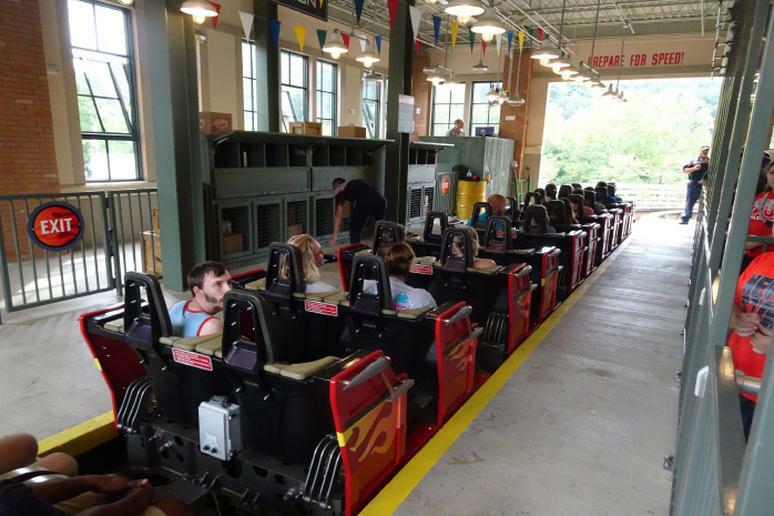 Lightning Rod races down the 165-foot descent and pushes guests along its 3,800-foot track to a top speed of 73 mph. The 310-foot Millennium Force is a looming behemoth. It was designed for the purpose of proving bigger is better. In fact, in order for it to be constructed, an all-new category just to classify its on-of-a-kind nature had to be created. That’s why it’s called a “giga-coaster.” Guests ride over hills, past lagoons and through tunnels at 93 mph. Goliath is one of the most extreme coasters in the world. 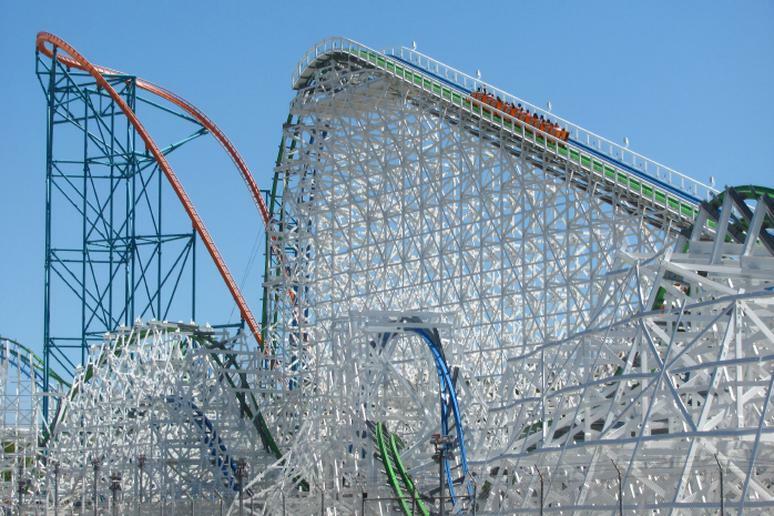 It has three world records: Fastest wooden coaster at 72 mph; tallest drop for a wooden coaster at 180 feet; and steepest drop for a wooden coaster at a near-vertical 85 degrees. 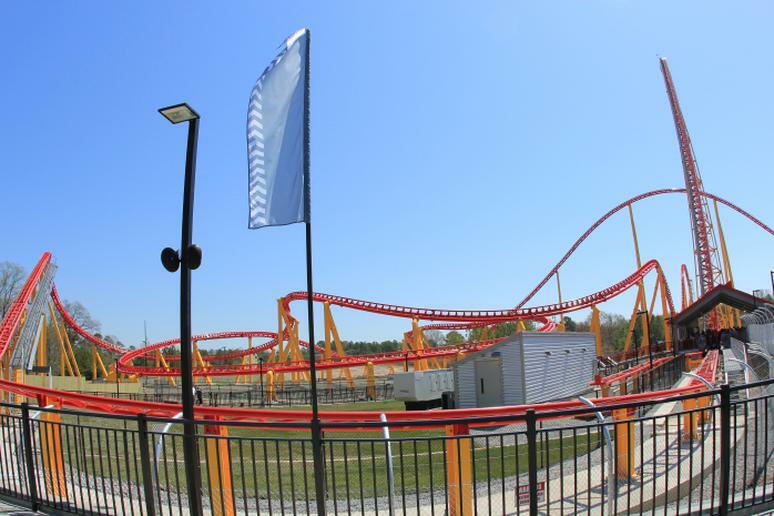 It has three over-banked turns, a 180-degree zero G-roll twist, two wild inversions, and a spiraling inverted zero G stall. 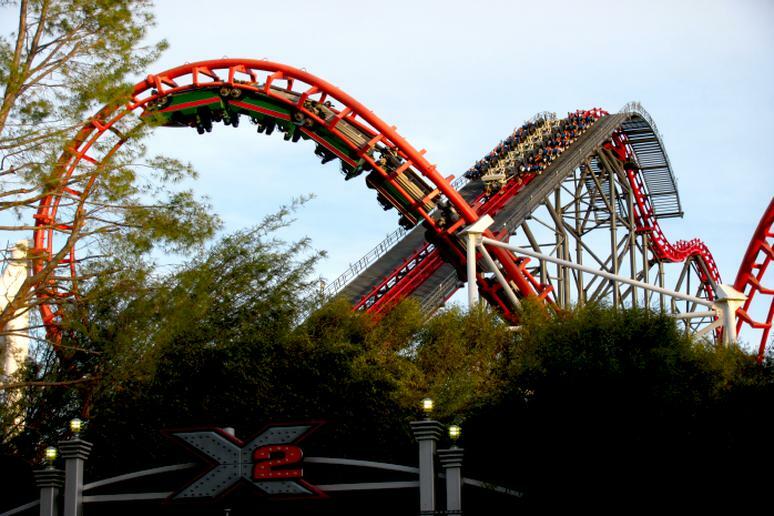 The X2 is the first fourth-dimensional ride in the world. It spins independently 360-degree forwards or backwards on a separate axis. Perched on the edge of a massive 20-foot wide wing-shaped vehicle, riders plummet 200 feet to the ground – head-first, face down – and race at 76 mph spinning head-over-heels and performing forward and backward acrobatics through the gigantic 3,610-foot twisted steel maze. 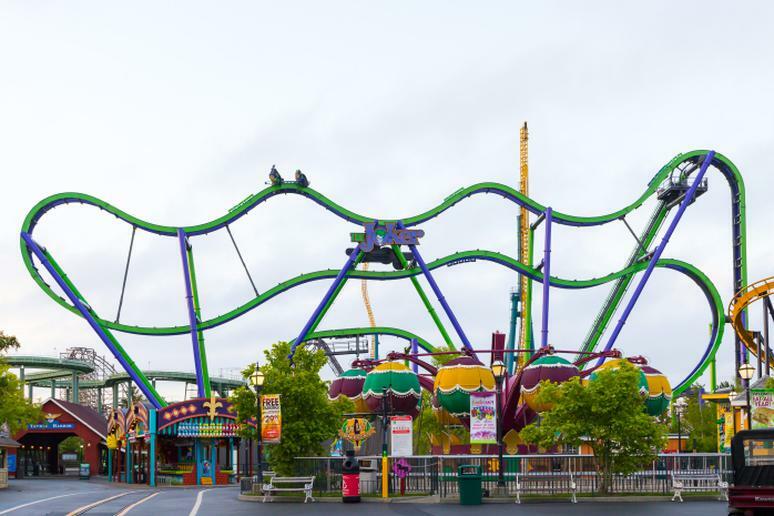 Six Flags says The Joker is its most maniacal coaster to date. This is chaos coaster full of twists. Riders are lifted straight up a 12-story, 90-degree hill. After that the freestyle-coaster will flip them head-over-heels up to six times along the weightless journey. They will also get to dive along a horizontal plane with unexpected drops. 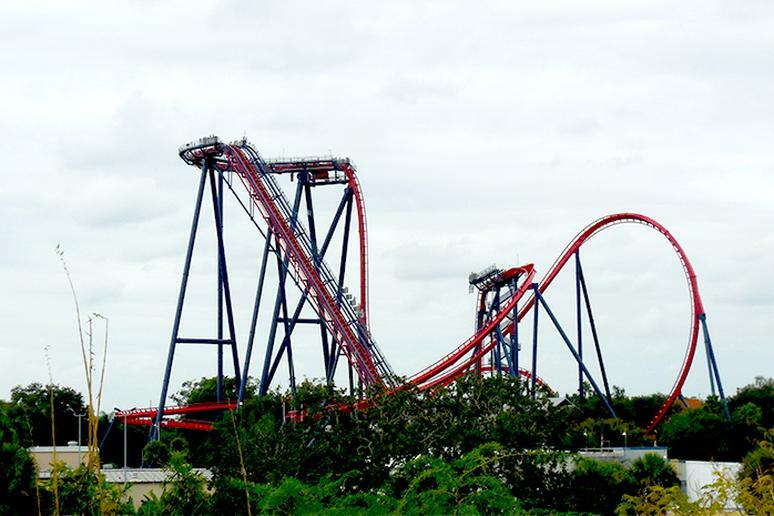 With the SheiKra you get to plunge from 200 feet at a 90 degree angle. It suddenly stops just over the edge. Then you dive straight down into a 70 mph whirlwind with an Immelmann loop, followed by a second dive into an underground tunnel and a splashdown finale that soaks you. 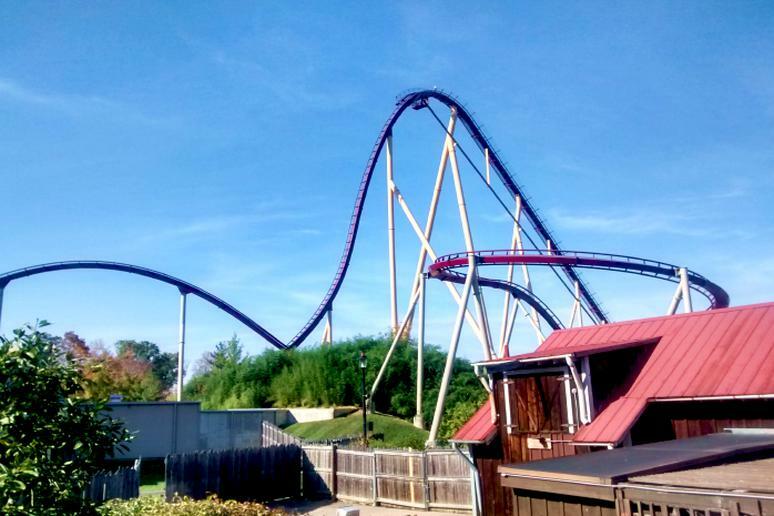 The Intimidator is the tallest, fastest and most thrilling roller coaster on the East Coast. The 300-tall first drop at an 85-degree angle and twists through which you’ll be going at 90 mph deliver a thrilling experience you will remember forever. 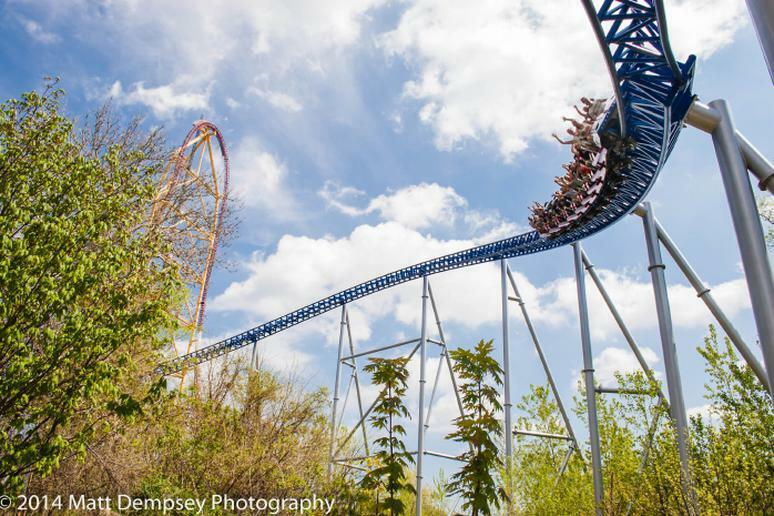 It was voted the “Best New Roller Coaster of 2010” by Amusement Today. The Diamondback offers thrill-seekers a chance to slide their way around 5,282’ of steep drops, twists and turns through 10 acres of terrain at speeds up to 80 mph. The “hypercoaster” – any roller coaster with a height or drop measuring greater than 200 feet – ends with a super cool splash as the ride slithers through a lagoon. The name is not a coincidence. 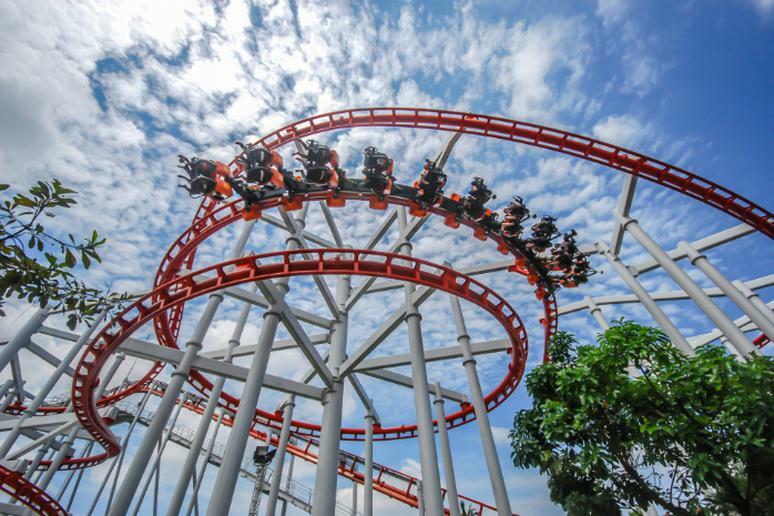 The super hero describes the roller coaster very accurately – over-sized strength, mega speed, and pretty much at the top of his class when it comes to flying. 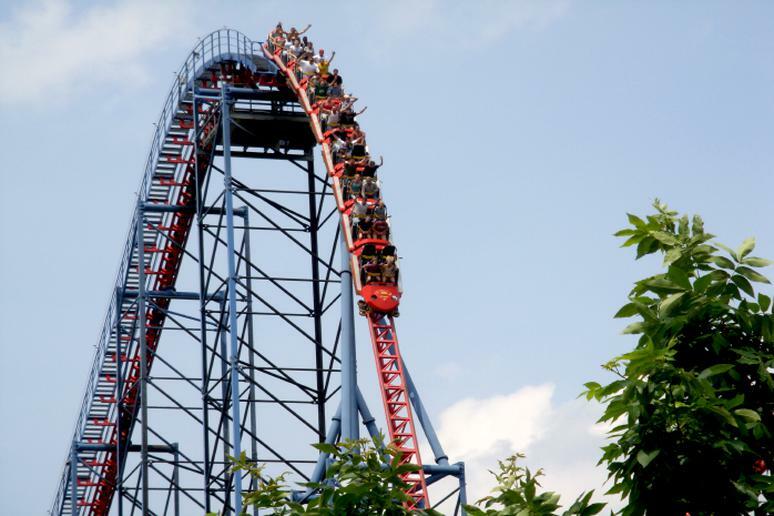 SUPERMAN The Ride is 208 feet and has a mind-blowing 221 foot drop. At a whopping 77 miles per hour, you will zoom through a staggering 5,400 feet. This is the updated and much improved version of the Colossus. The hybrid coaster used to be a twin-track racing ride. Now it’s a super long, single-track coaster. 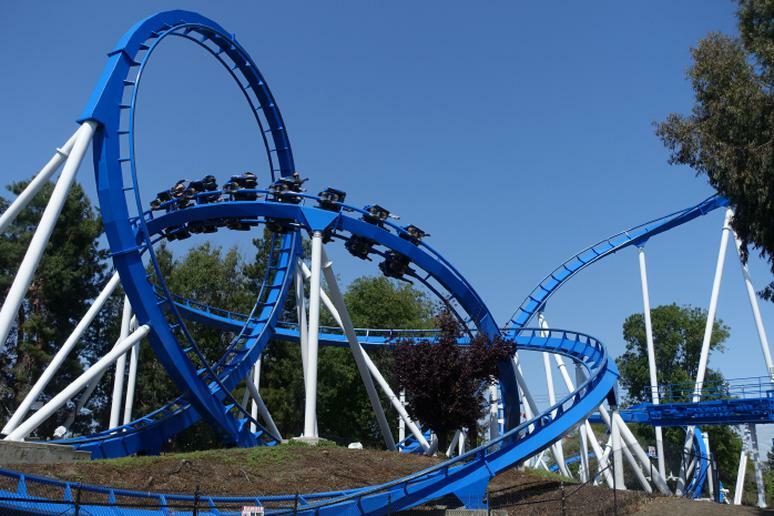 Riders can feel what a Top Gun Stall is like – this is when one train heads right-side-up, while a second train proceeds directly above it upside down. Nitro is also a hypercoaster. The seating situation is minimal—no shoulder restraints and no sides on the cars. The first hill is an astounding 233 feet high. Make sure you take a look around; you can actually see Philadelphia. But then you’ll be thrust down a 215-foot drop, flying down at 80 mph. The second hill is another 181 feet high, followed by the original hammerhead U-turn, a paralyzing swift reversal.